No matter how big or small it is a move that you are planning, you can always rely on our company to help you out. We have been in the business for a long time, enough for us to know the intricacies of moving a huge sofa or a delicate computer set. Even if you're merely moving a couple of blocks or not moving at all, we can help de-clutter your home or office. 1.Get the best price ever! One of the biggest challenges that you'd have to face when planning a move is deciding which company to go for, because removals companies typically charge an arm and a leg. This is not to mention the hidden charges that they usually incorporate in your bill. Here, we will do no such thing - our main concern is to give you the best removal services, while allowing you to get the best value for your money at the same time. 2.Rest assured that your items will be transported safe and sound. The security of the items that you need transported from one place to another is also important, which is something that we can assure you of. From the collection of your items to packing, storage and final delivery, all these steps are monitored through our 24-hour surveillance system. We also have intruder alarms and a computer-managed system so you'll have no problems at all in terms of security when handing over a move job to us. 3.Take advantage of our special storage offers. Finally, you can take advantage of the special storage offers that we have for our UK customers. There's absolutely no reason for you to worry about moving when you can simply hand over the task to us, and enjoy tremendous results while getting the best value for your money as well. Are you considering whether to hire or not to hire a man and van service? Here are some input about the advantages and disadvantages of hiring this service. Safety. When you hire a man and van service, it means that you are ensuring the safety of the materials being transported. Most of these servicing companies guarantee and insure all your stuff from damage or loss during the transport. They also insure the safety of their transport crew/s. In addition, you and your friends are also saved from the possible dangers of lifting heavy objects like furniture and appliances if you do it yourselves. Plus, your property can be damaged if improperly handled or removed. Smooth transport. The men or crews of these transport companies are already experts with what they've been doing. So, you are rest assured that they would work efficiently and fast. You can avail of their packing service which would definitely save you time. Instead of having to transport all your stuff with the help of your friends and your men, you are putting away extra cash for the man with a van service. 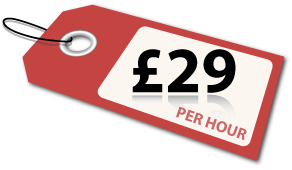 But generally, this service is cheaper than most removal companies. Indeed, it's true that hiring a man with a van service when moving out or relocating can be very beneficial but it has its downside, too.